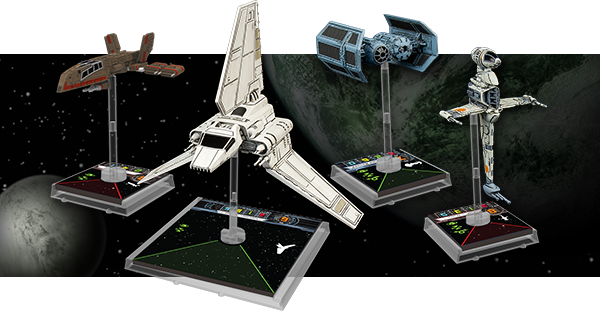 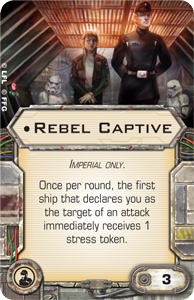 Things got a little disjointed here over the weekend with the information about Wave 3 coming out in three big chunks- the initial pictures, the cards and ship lists in the event pamphlet, and then the FFG posting of different cards on the site late last night, so to make it a little easier to refer back to, I figured I'd post all of that info in a single post. Info originally posted here, here, and here. And for reals, if you didn't read my crazy day article, you really do owe it to yourself if you enjoy my particular brand of irreverent mixture of Star Wars and real-life humor. 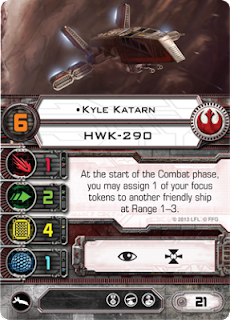 If you want my early commentary on this stuff, click on the links to the individual posts. 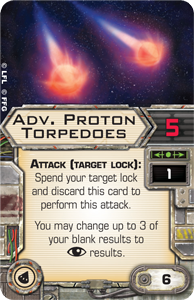 Card Text: When another friendly ship at Range 1-3 is attacking, if you have no stress tokens, you may receive 1 stress token to allow that ship to roll 1 additional attack die. 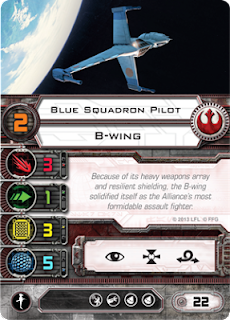 Card Text: At the start of the combat phase (choose) 1 other friendly ship at Range obscured Until the end of the phase, treat obscured's pilot skill value as 12. 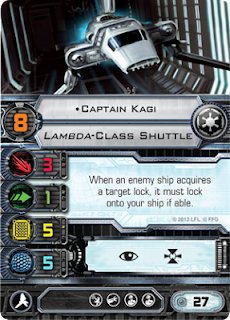 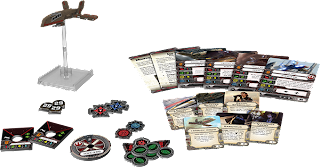 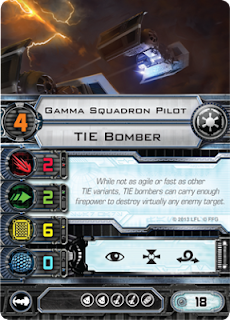 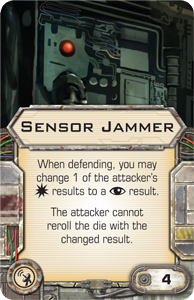 Card Text: At the start of the Combat Phase, you may assign one of your blue target lock tokens to a friendly ship at Range 1 if it does not have a blue target lock token. 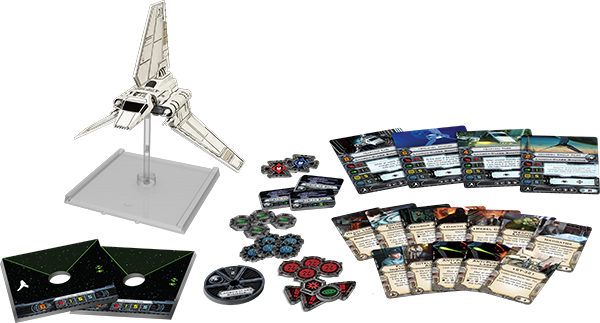 Again, if you want my early take on this stuff, hit the individual post links back up at the top. 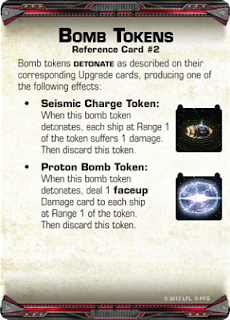 Trying to keep this one short and sweet for the divulged information to be referenced all in one place only.